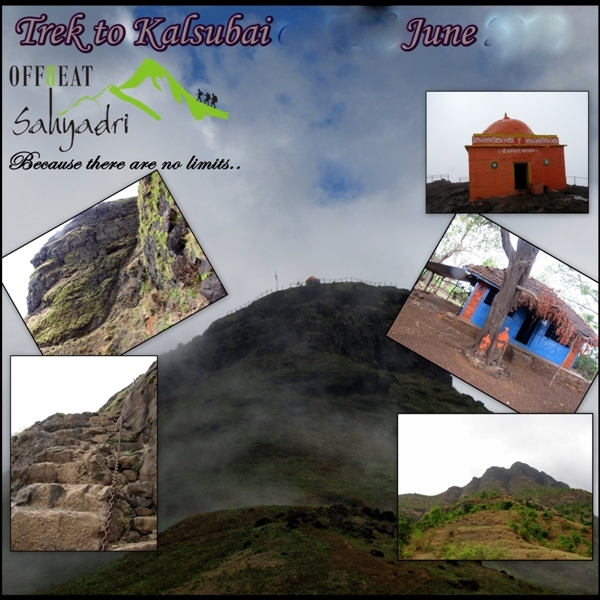 OffBeat Sahyadri invites you for the a trek to Kalsubai via Indore, highest peak of Maharashtra on 22nd June 2014, beginning on 21st night from Mumbai. It usually takes 3 hours to reach the top from Bari and 4 from Indore. Soon after leaving Bari, a small stream is crossed followed soon after by a Hanuman temple. The route from behind this temple takes the hiker straight to the summit. There are three iron ladders along this route. There is a well near the last iron ladder as one approaches the top. Since Kalsubai is extremely famous, enough efforts have been taken to make this trek easy. There are steel railings, chains and ladders at places where it is difficult to climb. This is the most usual route that most of the trekkers take to climb Kalsubai, but at Offbeat we are going to descend via this route. constructed steps but only a foot trail to make your trekking more exciting. Ø Wear good grip providing comfortable shoes. ( in good condition should not tear during the trek ) eg :Action trekking. to expand your social circles.